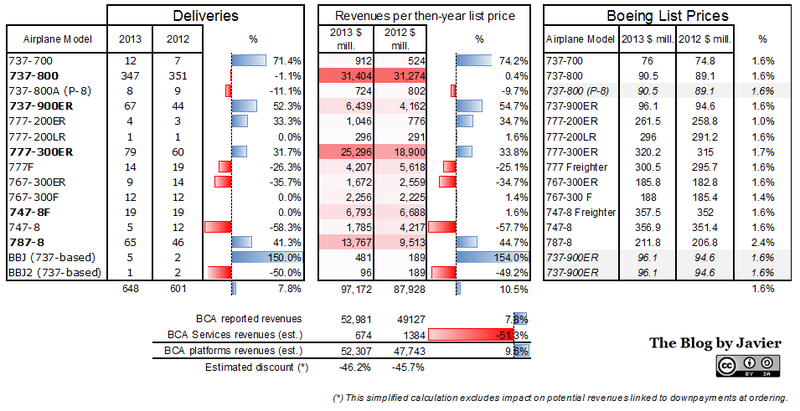 Boeing 747: 51 in backlog, rate of 1.5 per month… 2016? I read a few days ago an article from Business Week on the launch of the Boeing 777X (“Boeing Unveils Its Jumbo Killer“). In that article, Adam Pilarski, senior vice president at aerospace consultant Avitas is quoted saying “My assumption is the 747 is dead, or will be dead in a year or two”. Yesterday, Boeing announced that it will cut down the production rate down to 1.5 aircraft per month (see article in Bloomberg). 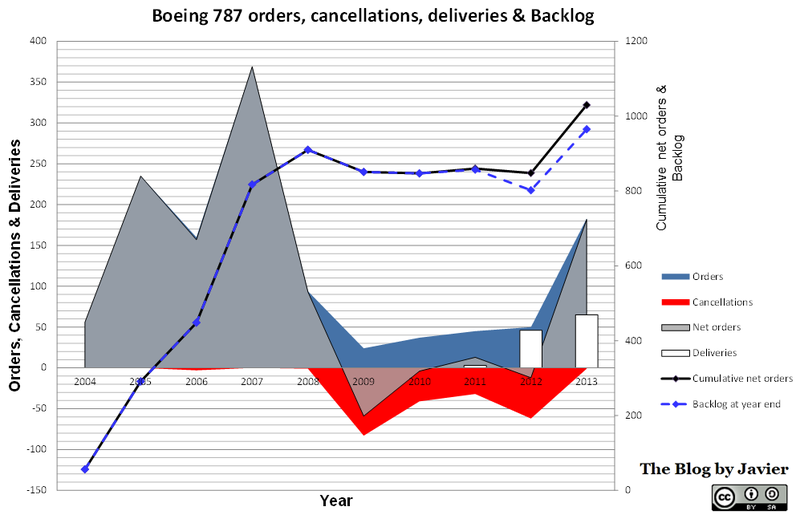 Boeing has only been able to book 107 orders and has still in backlog 51 of them. Thus, at the new rate the line would last open just a bit below 3 more years, reaching mid 2016. 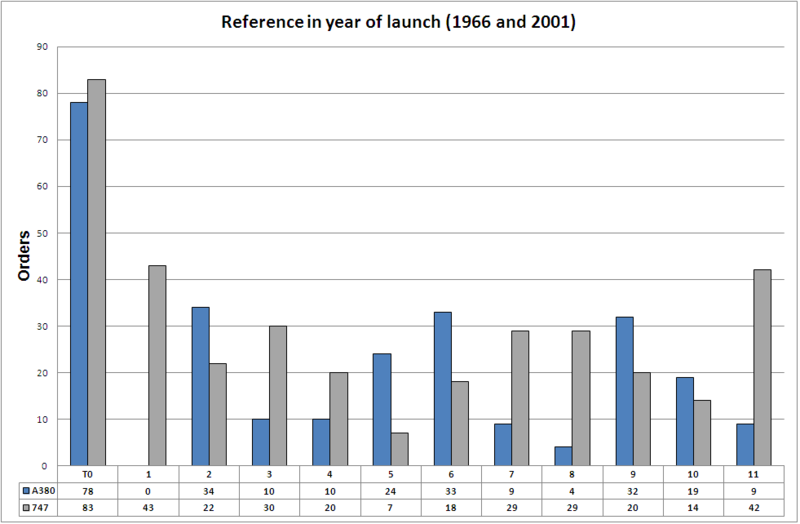 That is remarkable taking into consideration that the first deliveries took place in 1969, that would be a production streak of almost 50 years. The dark side of it is that if no orders are booked between now and then, in just about one year two aircraft production lines such as the C-17 and the 747 would be closed. However, Boeing still sees a future in the 747 and expects to revamp production again in the following years, especially in the freighter market, however in the past 6 years sales have amounted to 22 aircraft, an average of 4 per year… clearly below the needed to maintain the new production rate (18/year). In this post I compared the sales of A380 and 747 at each program start. Review I wrote about the book 747, “747”, by Joe Sutter with Jay Spencer. 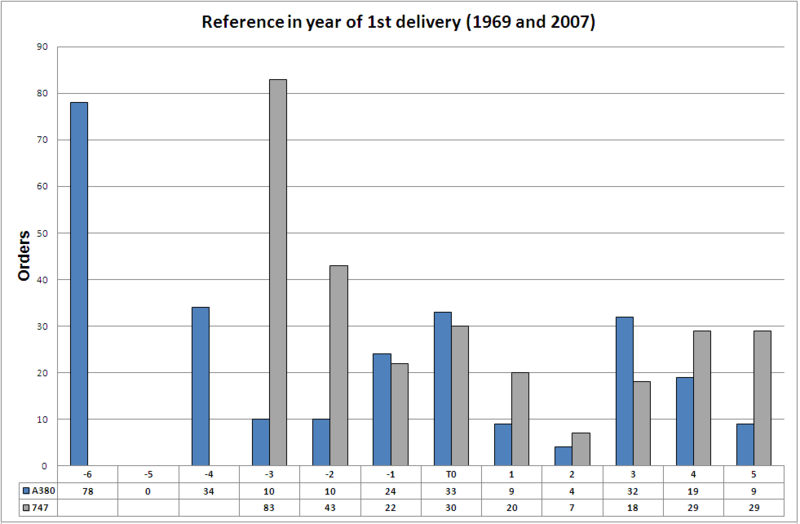 I read yesterday the first article about delays in 787 deliveries in 2013 due to the grounding of the fleet. With the investigation of the batteries issue taking already a month, it was evident that these delays were going to happen. I have not yet read anything in the specialized or business press about cancellations. However, taking into account that when the 787 program started announcing 3-month delays from Q3 2007, cancellations started to pile, I guess that this time it will not be very different. 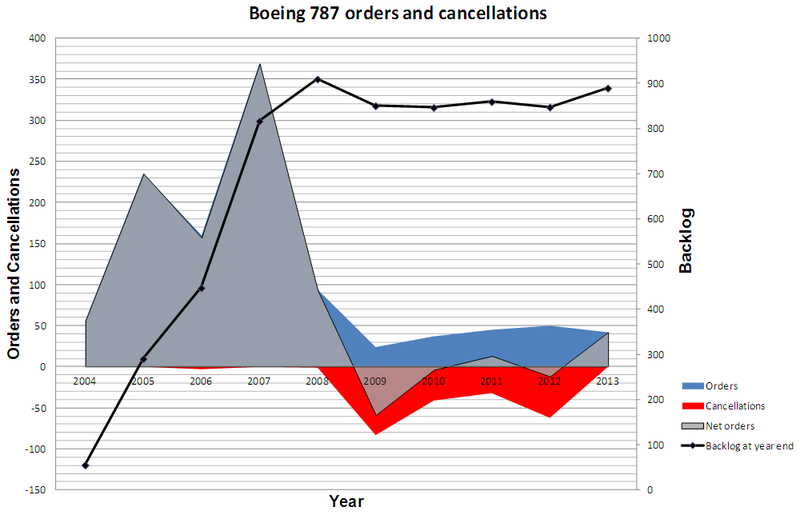 I checked the information of orders and cancellations from Boeing website.